Burfiend Farmhouse and out buildings are located in Port Oneida, which is part of the Sleeping Bear National Seashore historic area, I am drawn to the lonely presence of the deserted Farmhouse and the variety of light and shadow. 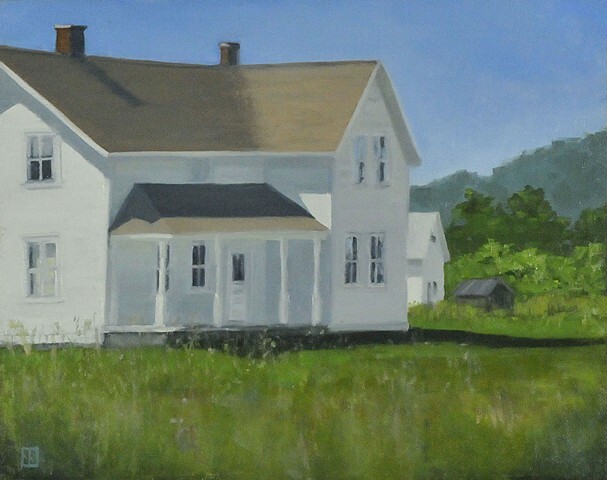 This painting was worked up from a plein air field study. I have painted this scene several times over the past few years.